2 spots in a random Obsidian case. Cowboys, and Chargers/Skins combo spot. Did well!! Thread: 2 spots in a random Obsidian case. Cowboys, and Chargers/Skins combo spot. Did well!! 2 spots in a random team Obsidian case. Cowboys, and Chargers/Skins combo spot. Did well!! 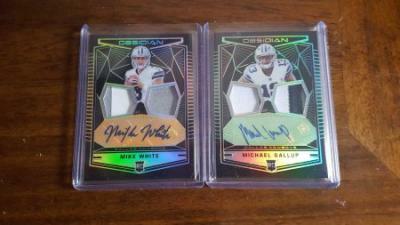 Not many hits available in the combo spot, but I got a couple. 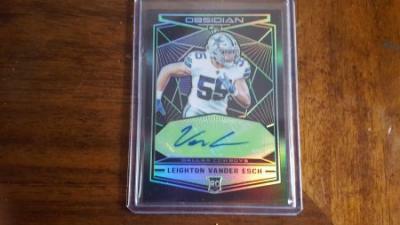 Rookie auto Leighton Vander Esch /25!! Last edited by storm; 12-08-2018 at 09:02 PM. 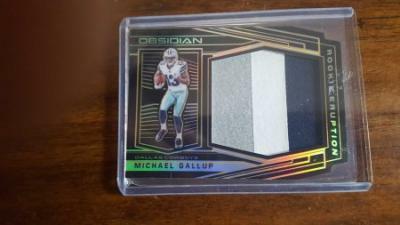 Some really nice hits and being a Cowboys fan the Gallup and Vander Esch are super cool. Are any available for trade or sell? Thanks! Leaning torward holding them, but Leighton prices are pretty high so that may force my hand.